If a floor renovation is in your future, learn about the role of a flooring underlayment. The surface of your floors are the materials you see — wood, tile, concrete, and laminate — but underneath some of these flooring options is a system of layers that directly impact the performance and durability of the floors themselves. One layer that is never seen and easy to overlook is the underlayment. Have you been immersed and exposed to the wide world of flooring? It can be vast and daunting trying to select a flooring option is functional and beautiful at the same time. At Shelby Design Center, we are the flooring experts and can help you navigate these often muddled waters. Follow along in today’s post as we examine the underlayment and its role in flooring. There are many components to your flooring than just the surface — read about them below. Floor surface – This is what is visible in your home such as tile, laminate, wood, and concrete. Underlayment – This is just below the floor surface and it’s made from a material that is usually a quarter to half an inch thick. The underlayment’s function is to provide the floor surface with a flat surface to be laid upon. It is often made of cement board, foam padding, or plywood. Subfloor – This is apart of the home’s construction and is already in place — it is the structural foundation. 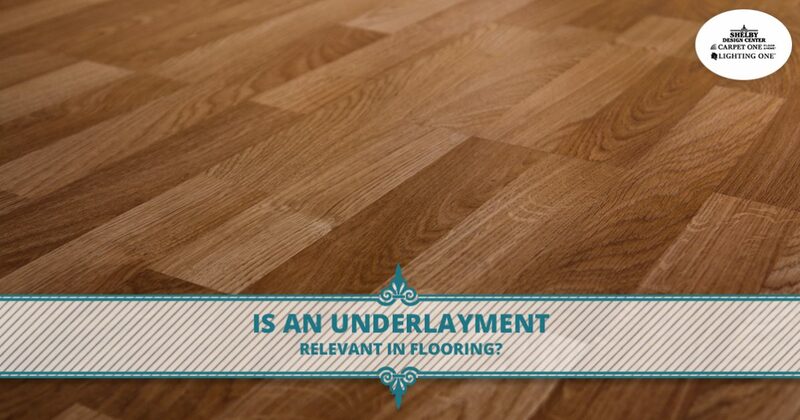 Why is an underlayment necessary? Creates a smooth, flat surface – Having a flat surface to lay flooring is important to its function and the way it looks. The underlayment creates a surface atop the subfloor to better smooth and flatten the area. Fortifies the structural integrity – A strong underlayment further fortifies the structural stability of the subfloor. It is very important to implement in older homes where the subfloor is composed of boards rather than sheets. Enhances adhesion – When using an underlayment such as cement board, it creates an ideal surface for the tile to bond to. It is not recommended to directly bond tile to the subfloor, so the underlayment serves as a good intermediate. When would an underlayment not be necessary? In new home builds, the subfloor is often an amalgamation of the subfloor and underlayment, so it is structurally sound, flat, and smooth — ready for a floor! Hardwood flooring may not always require an underlayment, but a thin layer of rosin paper that is spread above the subfloor. 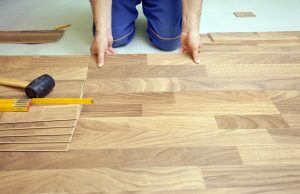 If you are completing a floor remodel, you may not need an underlayment, as the previous flooring may serve this purpose. An underlayment serves a specific purpose to new flooring and it enhances your floorings durability, structure, and abilities to withstand moisture and noise. Do you have more questions? Reach out to us today — we love talking floors!